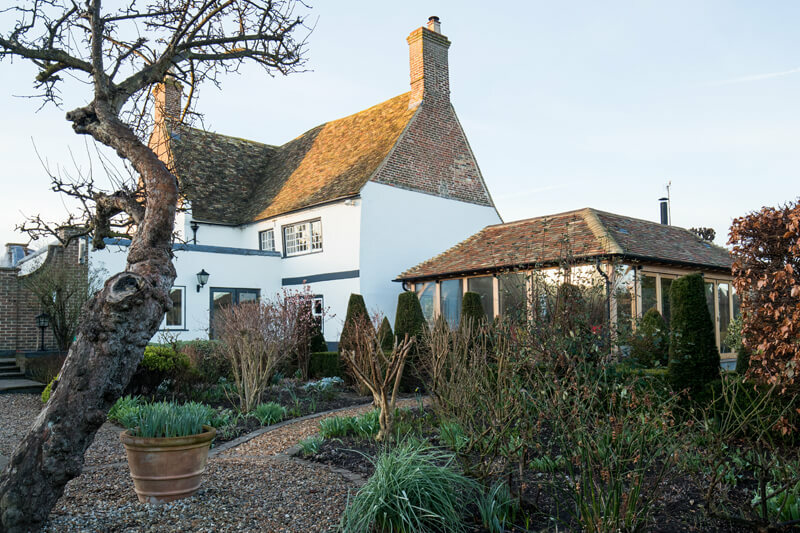 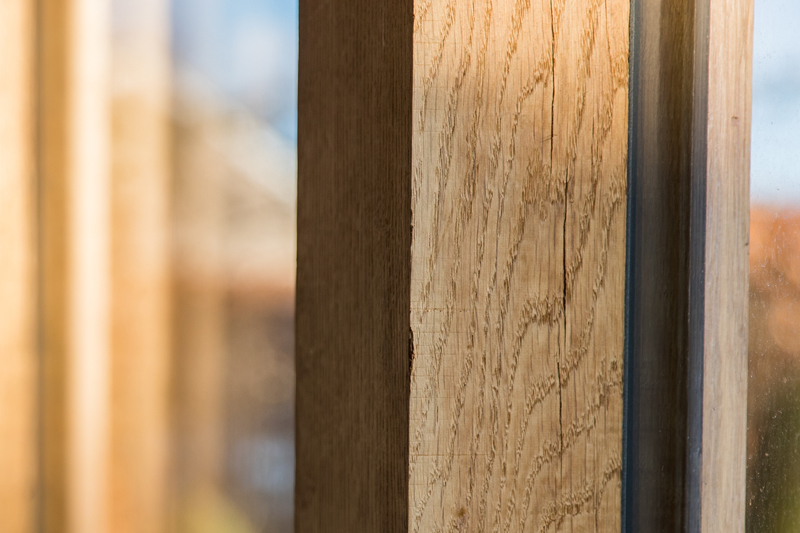 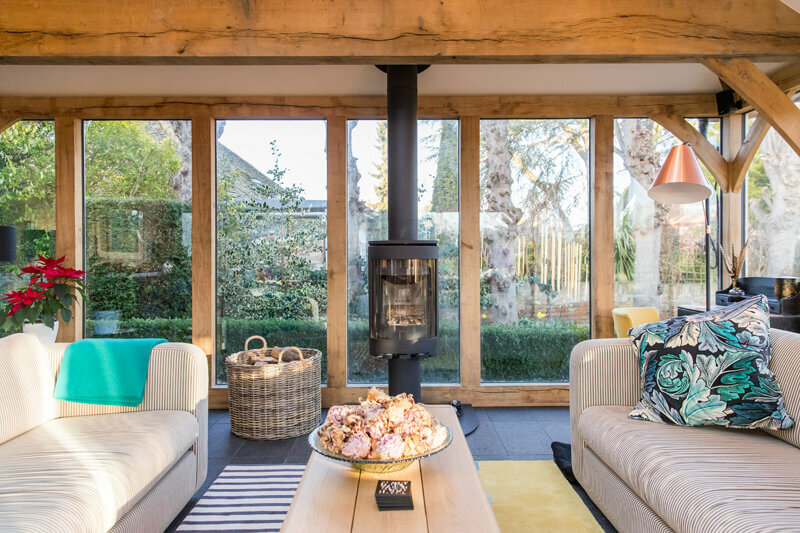 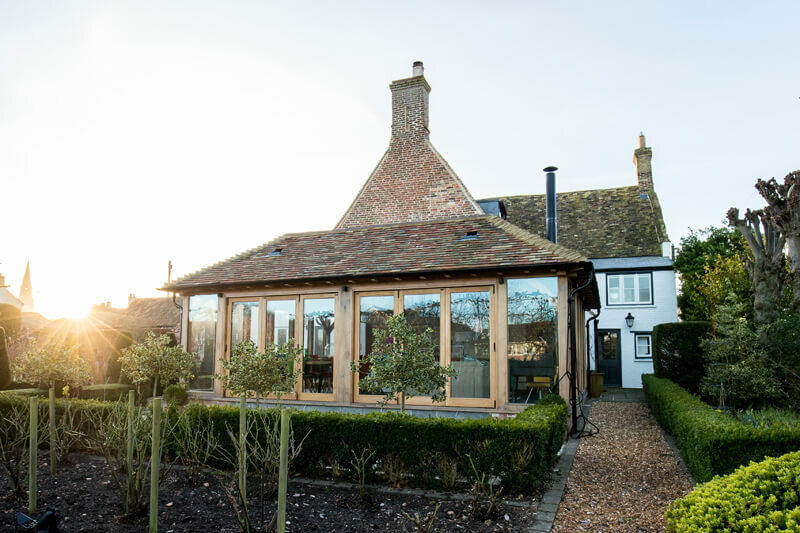 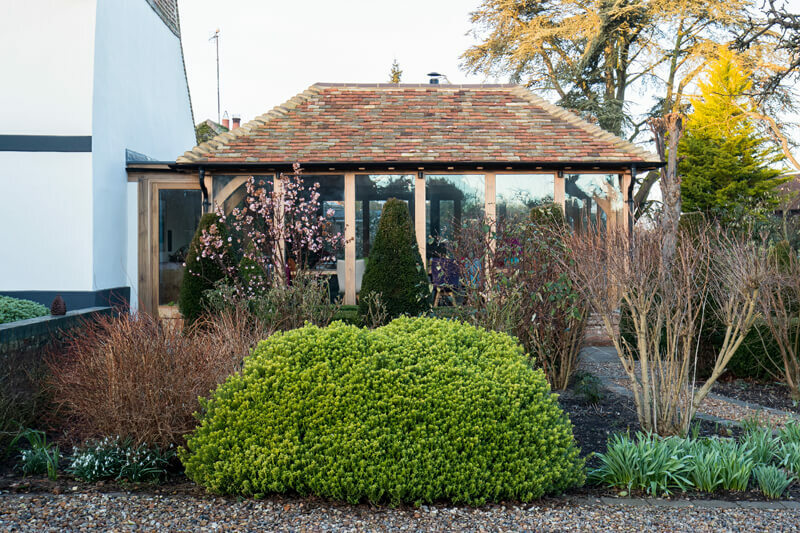 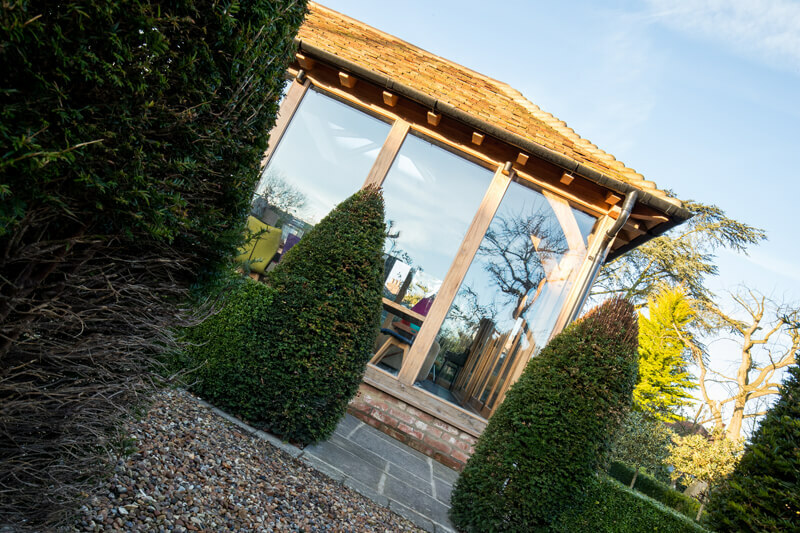 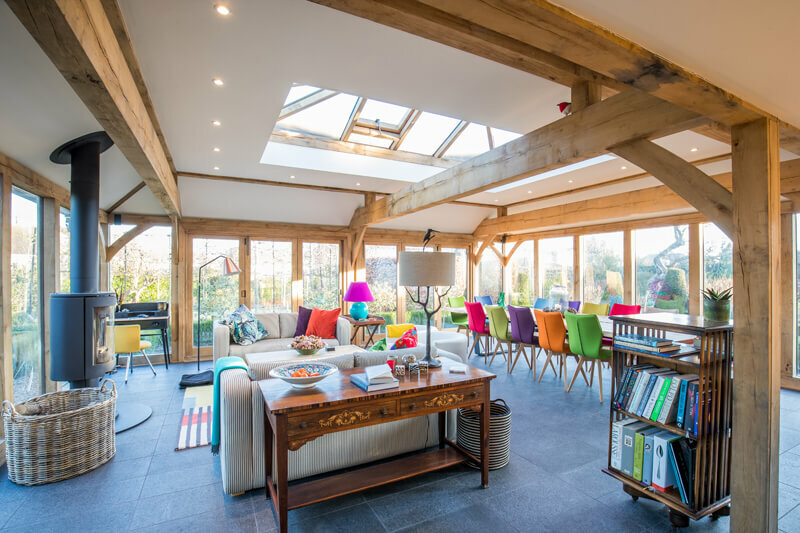 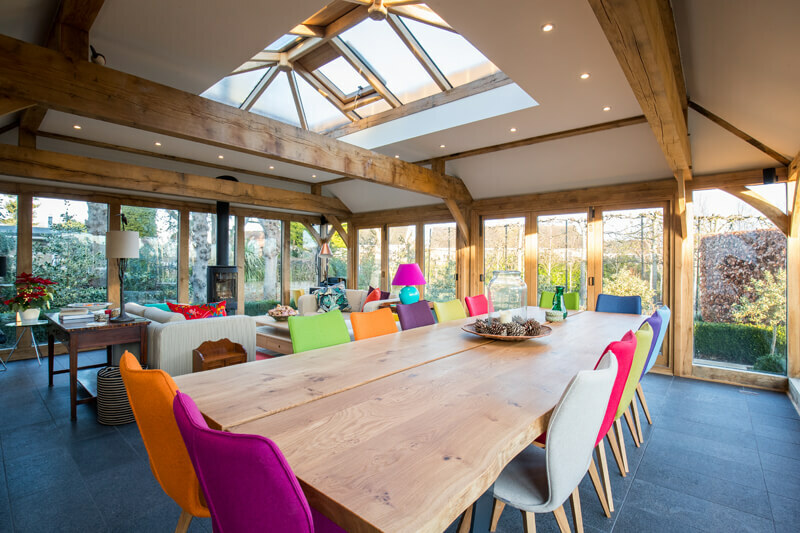 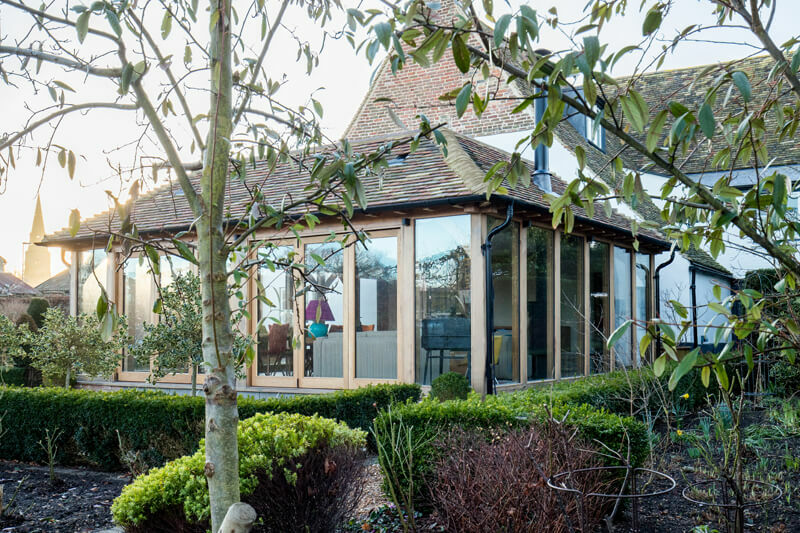 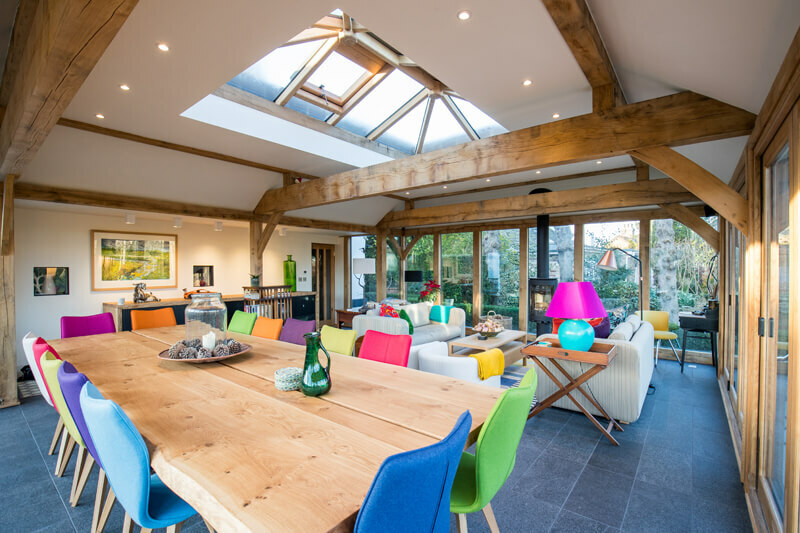 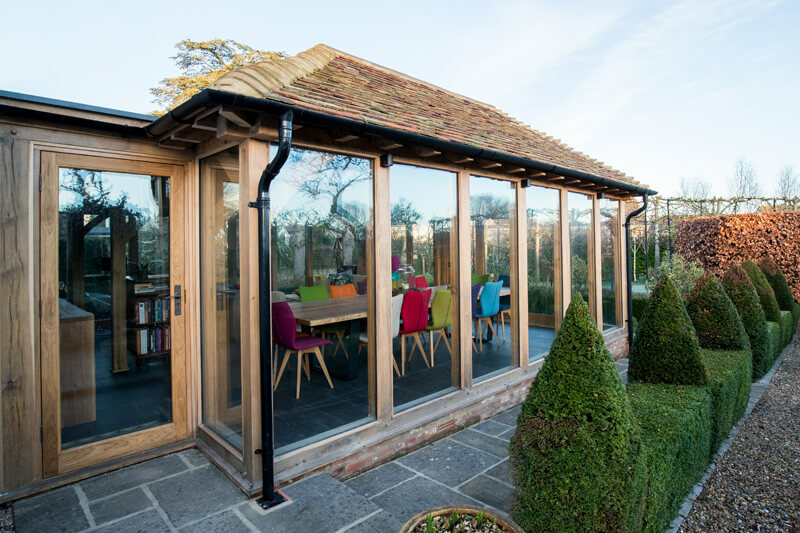 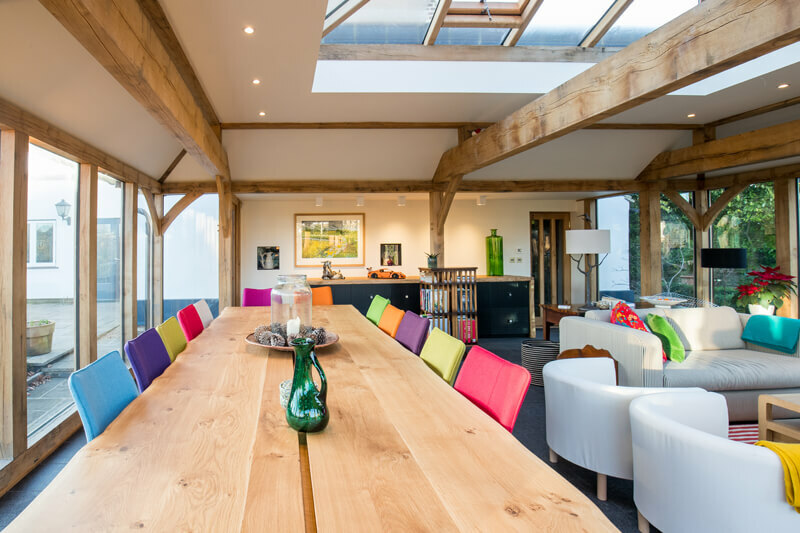 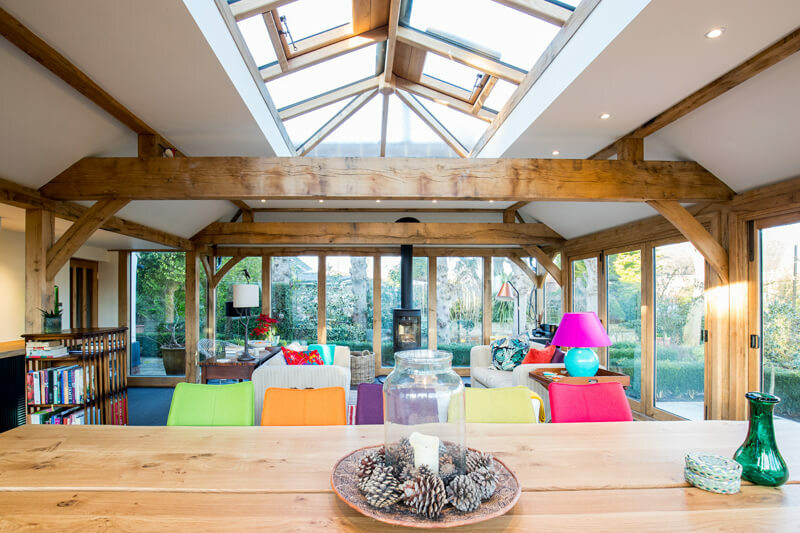 The integration of this stylish oak-framed extension onto a classy manor house has really achieved the intention of bringing the outdoors in. 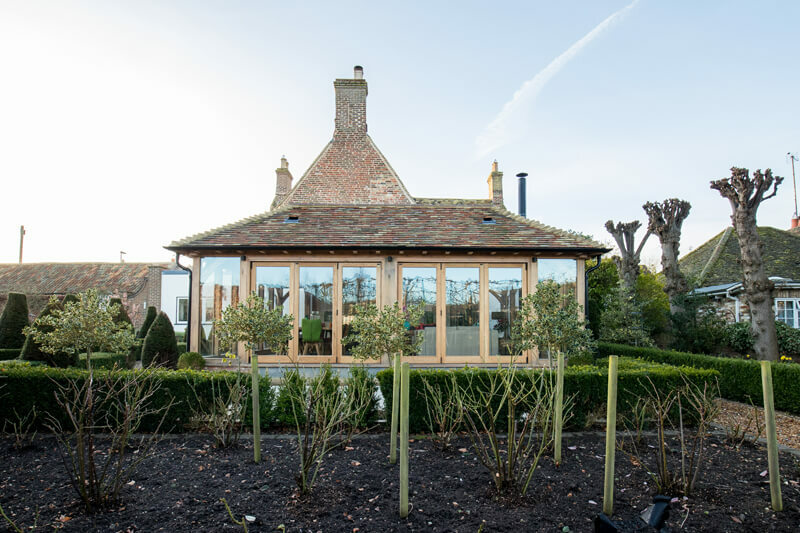 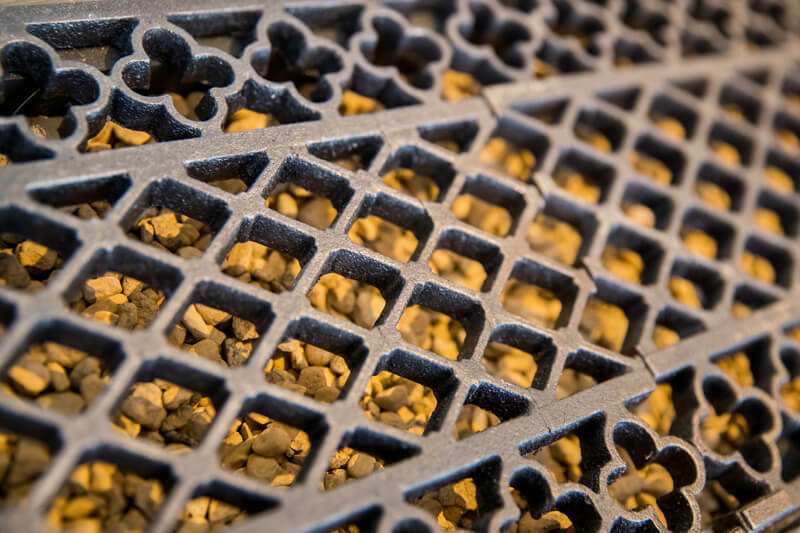 The customer was keen to ensure great breathability with cast iron channels being used to satisfy and maintain the heritage of the building. 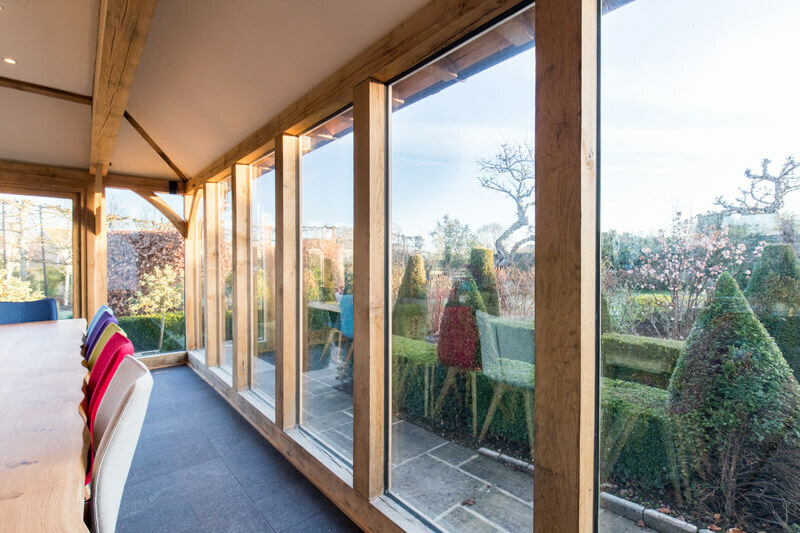 This subtle yet elegant space is sympathetic to the existing house and effortlessly absorbs the natural daylight. 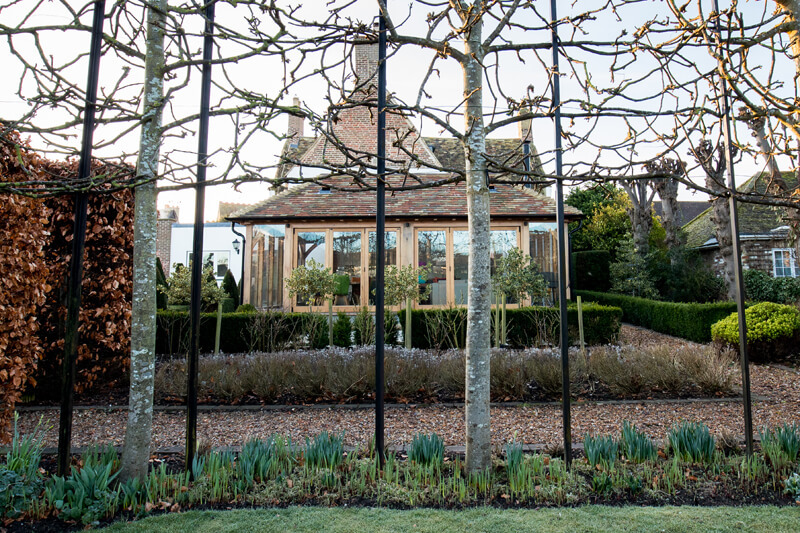 It was important for the team to ensure pinpoint work so that the foundations lined up exactly to the boundary paths of the garden. 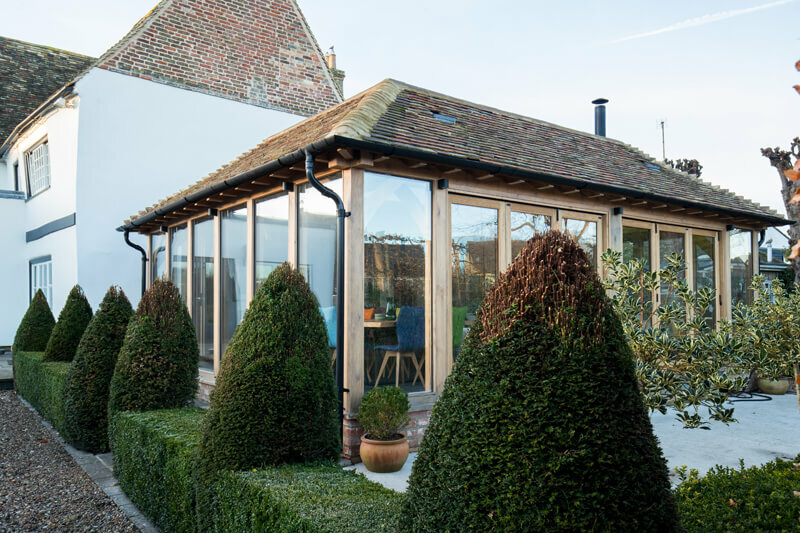 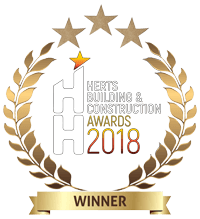 The results are magnificent and provide a perfect addition to the existing house.